Get them started young! Growing veggies from seeds is a great budget-friendly activity for you to start with your family this Spring season. Add elegance and refinement to any backyard living space. Wicker furniture looks great on patios, porches or in sunrooms. We’re just a little egg-cited for Easter! From our family to yours, have a #HappyEaster weekend. Planning a garden in a small space? Try a vertical garden on your balcony, terrace, or on your porch. Change up the flowers in your garden this year. We have tons of variety in our Garden Centre. Your dream backyard isn’t just a dream with warm, brown coloured Micro Pro Sienna lumber at everyday low prices. That's The Home Depot Way. ➡️ for more. Looking for a lush garden, but aren’t sure where to get started? Visit us in-store to view our selection of locally grown plants, and chat with a knowledgeable garden centre associate. ➡️ for more. 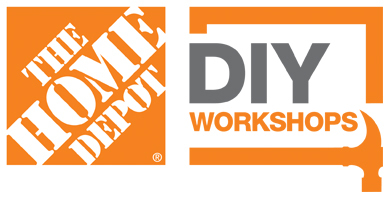 The Home Depot #7227 is located at 604-1 Westmount Shopping, Edmonton in Alberta, Canada and offers all of Home Depot’s signature products, tools, and services. At each and every one of our Home Depot store locations in Alberta, you’ll find friendly staff members eager to assist you in any way possible. Whether you're looking for appliances, bathroom and kitchen remodeling ideas, patio furniture, power tools, BBQ grills, carpeting, lumber, concrete, lighting, or ceiling fans, our team of experts will take your style, budget, and product requirements into consideration. Whether you're looking to buy, or get inspiration for your next home project, visit our store today.